I was recently interviewed on a popular radio station. Here is an approximate transcript of the interview. I am originally from Johannesburg. I am married with two children. I did a B.Comm degree and worked as an auditor for a few years. When my daughter was born 11 years ago, I started working from home. I still do some accounting work but my passion is travelling. I’ve been to 36 countries so far (Update: now 40 countries) and I’m always looking for new opportunities to travel. Yet my bucket list keeps on growing. 2. How did you get into travel blogging? 3. What was your earliest memory on travel? 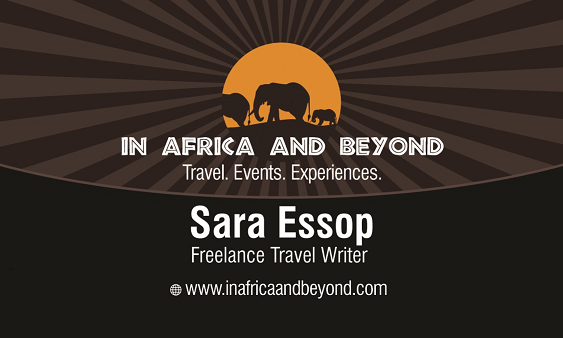 My earliest travel memory is of being in Kruger National Park when I was around 6 years old. We were in the car watching a pride of lions on the side of the road and a troop of monkeys began jumping on our car. Fortunately the windows were closed. Then when I was about 8 years old I went to India with my family for a while. We moved around from place to place, soaking up the crowds, the exotic culture, the diverse people and the delicious food. It was like one big adventure and everything was very exciting. This is how I caught the travel bug. 4. Where are your favourite travel destinations locally and abroad? Locally, I absolutely love the bush. 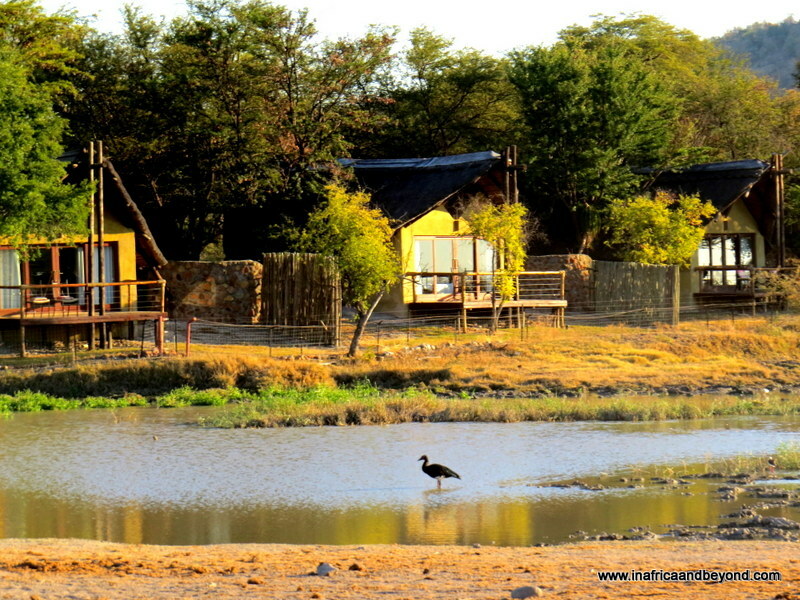 One of my favourite game reserves is Madikwe in the North West. It’s much smaller than Kruger but has almost as many animals so the chances of having great sightings is very high. Abroad, I love Istanbul in Turkey. It’s a fascinating city with so much of history. I also love Venice in Italy as well as Malaysia. 5. Is there scope for the halal industry? Definitely. Halaal tourism is the fastest growing tourism sector in the world. Which is why companies like Crescent Rating are attracting a lot of attention. Crescent Rating is based in Singapore and they provide rating and accreditation for halaal-friendly travel establishments. I’ve recently joined them as an auditor as well so if hotels would like to be listed with them they can contact me. Also South Africa is rated as one of the most halaal-friendly non-Muslim countries for Muslim travellers because we have so many mosques and halaal restaurants. I was quite impressed recently when I went to a hotel in Cape Town and there was an option of requesting a Quran or a Bible. So, the tourism industry is definitely becoming more aware of the Muslim traveller and their needs. 6. When working out the logistics on your travels do you do it yourself or do you go through an agent? It depends on the country I’m travelling to. Some countries are easier to navigate on your own than others. For example, with Malaysia, I booked everything myself whereas with China and Morocco we used travel agents. What I would suggest is, if you’re not brave enough to do everything yourself – that you book your flights yourself then book your accommodation and tours with a local agent in the country you’re travelling to. 7. Are you an adventurous traveller or a more stay on the course do the tourist routine kind of person? When visiting a place for the first time, I like to see the main tourist attractions but I also leave some time to venture into the backstreets away from the tourist attractions and see how the locals live and where they eat and shop. We like talking to the locals too. It can be quite fascinating to listen to their stories and perspectives and they can give you some great tips too. There is a lot to do in South Africa which many people don’t know about because they usually go to the same destination for every holiday. I’ve been on canopy tours and hot air balloon rides in South Africa. I’ve traveled on Rovos Rail from Johannesburg to Cape Town. It is one of the most luxurious trains in the world. I also love doing road trips. We recently drove from Jo’burg to Cape Town. You get to see places that most people in South Africa don’t even know exist – like Richmond, Africa’s only book town and Matjiesfontein, which has a lot of history and a haunted hotel. 9. Being an avid traveller you must have picked up some tips, can you share them with us? I have picked up a few tips along the way. I will share some of them with you. Before travelling anywhere, scan your passport and other travel documents and store them online where you can access them from anywhere in the world. That way if you lose your documents or they get stolen, you can still access copies. In terms of luggage, my best tip would be to travel light but this is not always possible so I carry a collapsible extra bag with me for shopping and a portable luggage scale to weigh my luggage before going to the airport. This is to avoid paying for extra luggage weight. In terms of communication, I put my phone on SMS roaming and buy a local sim card. We learnt the hard way when my husband put his phone on data roaming once and got landed with a R5000 bill. See more tips here. 10. Which travel blogs/travel websites are worth checking out? Some of my favourite websites are Tripadvisor for travel reviews and ratings, Travelstart for checking flight price and booking flights, and Booking.com and Hotels.com for hotels around the world. Hey Sara. Awesome interview with great insights and much needed travel tips. At least we got a peek of the person behind the paper.